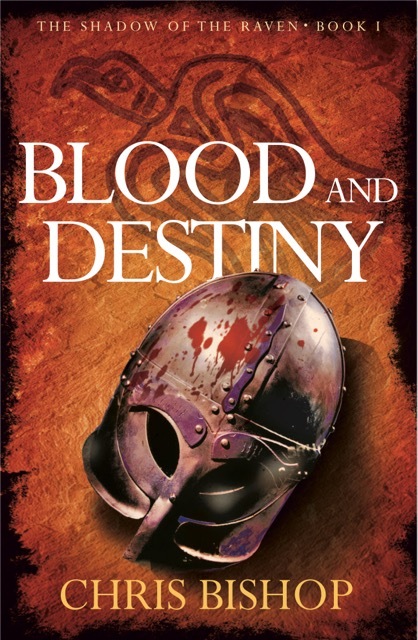 As many people know, I am a fan of historical fiction so I was more than a little intrigued by the clash of Saxons and Vikings in 9th Century Blood and Destiny. Having devoured the book and been left thirsty for more, I am absolutely thrilled to kick off the blog tour for this truly magnificent book. It is 878 and Wessex stands alone against Guthrum's Viking hordes as all England cowers beneath their raven banner. With most of his army destroyed following a surprise attack at Chippenham, Alfred King of Wessex, retreats to the desolate marshes at Athelney. Whilst few believe he can ever restore the kingdom, he remains determined – no matter the cost. Among the small band of weary survivors is Matthew, a novice monk who must learn to fight like a warrior if he, along with his brother and fellow Saxons, are to have any chance of defeating the Vikings. As the impending battle looms, Matthew is charged with a vital role that means he must face danger and betrayal, and undertake a hazardous journey during which his faith will face the ultimate test. What an amazing start to, not only a book, but a series; I get goosebumps just thinking about it as the skeleton of Edward, the third son of Edwulf, is uncovered in a lonely grave. It is not the discoverer talking but Edward himself and it is Edward's story that we follow in The Shadow of the Raven series. We are introduced to Edward and his brother Edwin in 878 as the Vikings continue their invasion of Britain. Edwin is a warrior and Edward is a novice monk, going by the name of Matthew. The brothers are together when they discover a burning settlement and Edwin fears for their king, Lord Alfred of Wessex residing in Chippenham. Edwin hatches a plan to make his way to Chippenham to warn King Alfred of the imminent Viking invasion and to fight alongside the few men based there. On their travels they discover a young boy who appears to be mute and they name him Edmund after their late elder brother. When the party of three arrive at Chippenham they find that they are too late to warn King Alfred, indeed they find themselves in the midst of battle. Edwin rushes off to lend his sword to the battle, leaving Matthew with the boy Edmund and soon Matthew finds his calling tested when he is drawn into the battle and must kill or be killed. With the Viking leader, Guthrum, having captured Chippenham, the Saxon troops take King Alfred into hiding. They make the dangerous journey to Athelney, encountering a number of possible traitors on the road, where they make their plans to take back Chippenham. What starts with a battle must surely end with a battle, and Blood and Destiny does not disappoint. 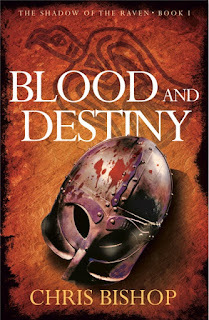 Fans of historical fiction and the TV series 'Vikings' will absolutely love Blood and Destiny. I half expected to see Ragnar Lothbrok appear in the story, although he would fight to the death and never contemplate surrender. Fast-paced, brutal and sword-clashingly vivid this is a stunning first novel and the most amazing start to what I am sure will be a fantastic series. I'm certainly on tenterhooks for book 2. Chris Bishop was born in London in 1951. 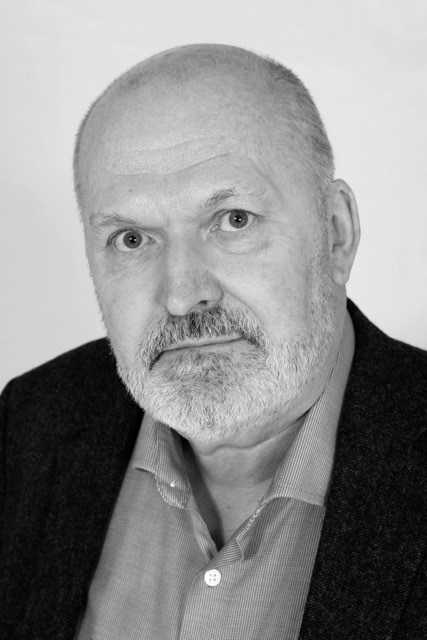 After a successful career as a chartered surveyor, he retired to concentrate on writing, combining this with his lifelong interest in history. Blood and Destiny is his first novel and is part of a series entitled The Shadow of the Raven.